My son was born the day before Mother’s Day and I’ll always remember my first Mother’s Day card as I sat in the hospital soaking up all the joy that this new little baby was bringing into our life. It will be tough to top that Mother’s Day! Here are some fun Mother’s Day ideas for the special lady in your life. We have free printables, craft ideas and more. There is a lot more coming up in the next few weeks so stay tuned for even more creative ideas and freebies. Husbands – Searching for thoughtful ideas? Here is a list of thoughtful suggestions I made for Wife Appreciation Day that would also be great for Mother’s Day. A day off from making breakfast while being treated to breakfast in bed? Yes please! Here are some fun ideas for planning a Mother’s Day Brunch. We all know Mom works hard & sometimes she needs some time to herself. 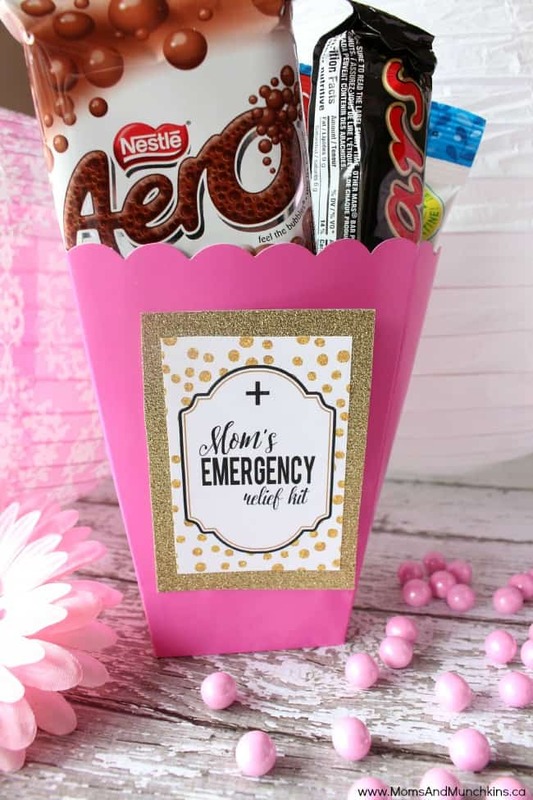 For the next time Mom is overdue for some rest, pack her this Mom’s Emergency Relief Kit filled with her favorite things! 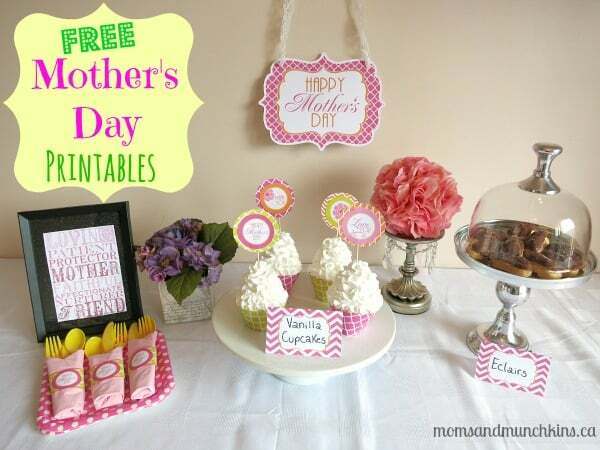 Planning a special little party at home for Mom? 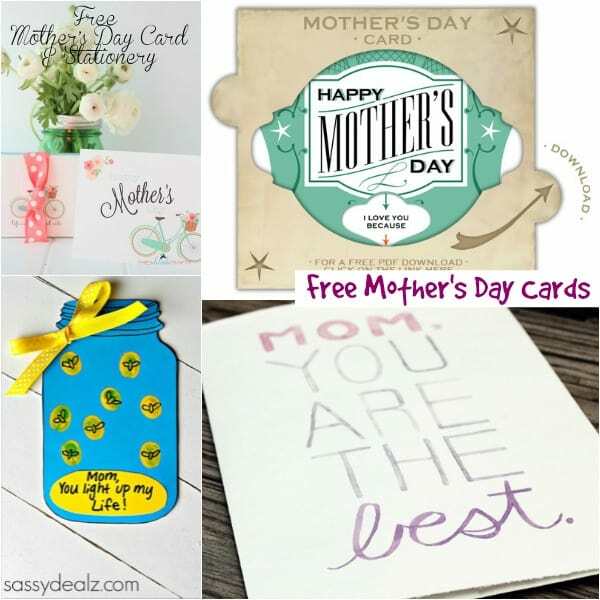 Here are some creative & free Mother’s Day Printables! Planning a special date just for you and mom? Here are some fun Mommy & Me Date Ideas. 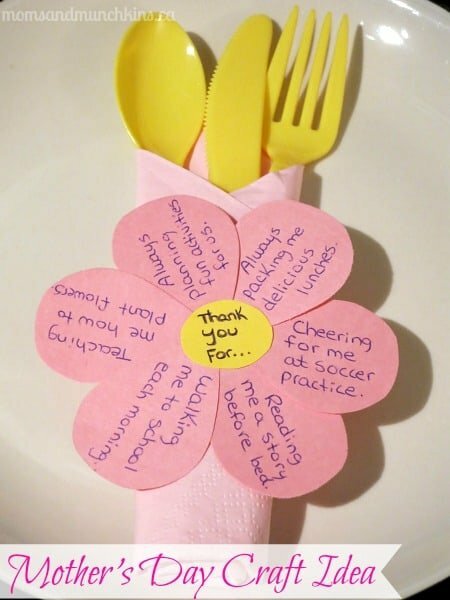 This little craft is fun for the kids to put together and it makes a great gift on her tray for breakfast in bed – Personalized Napkin Rings listing all the things you love and appreciate about Mom! 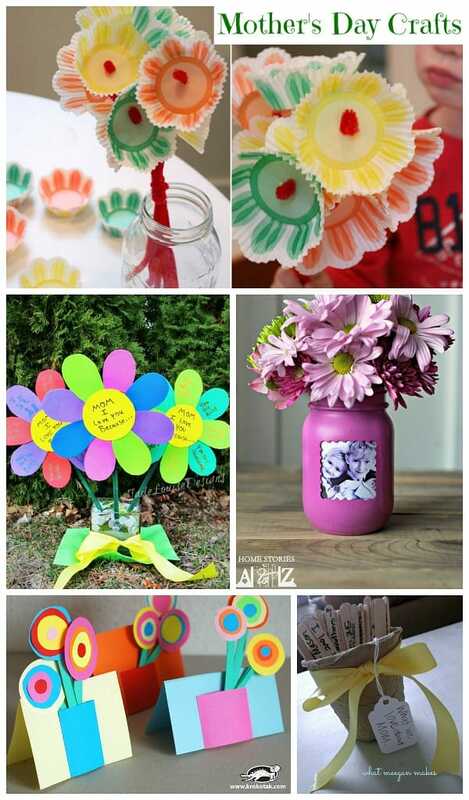 I love this collection of Mother’s Day craft ideas – I must tackle that Mason Jar & Picture Frame project soon! 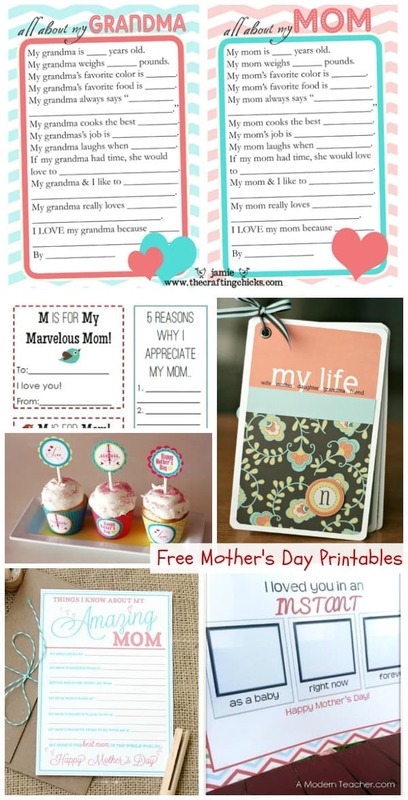 Mother’s Day just got a whole lot easier with this collection of free Mother’s Day printables. There are so many creative printables in this collection and I’m sure you’ll love the creative ways that kids put them to use! 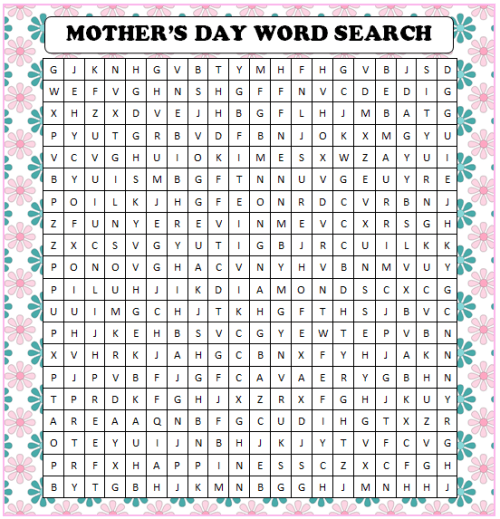 Want to give your mom a special card without having to go out to the card store? Check out this collection of free printable Mother’s Day cards. 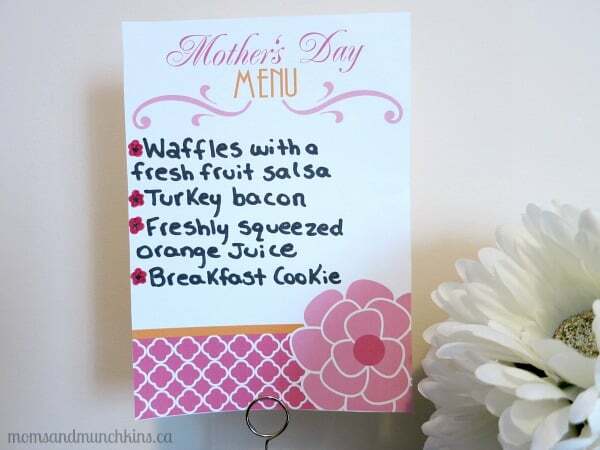 Planning a special breakfast for Mom on Mother’s Day? 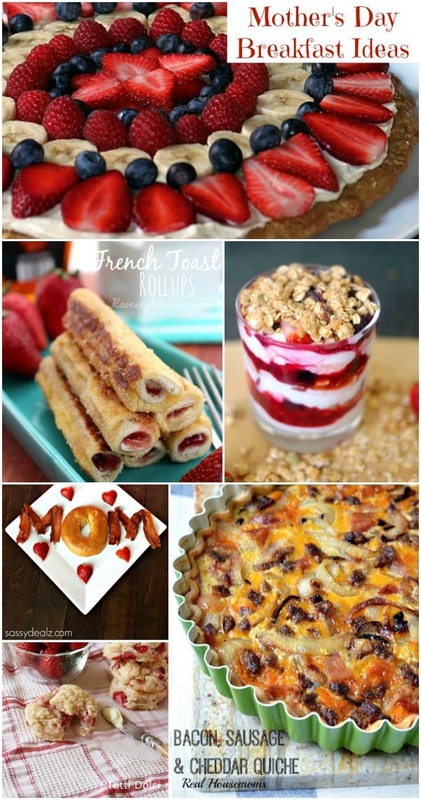 Here is a delicious collection of Mother’s Day breakfast recipe ideas that Mom would love! 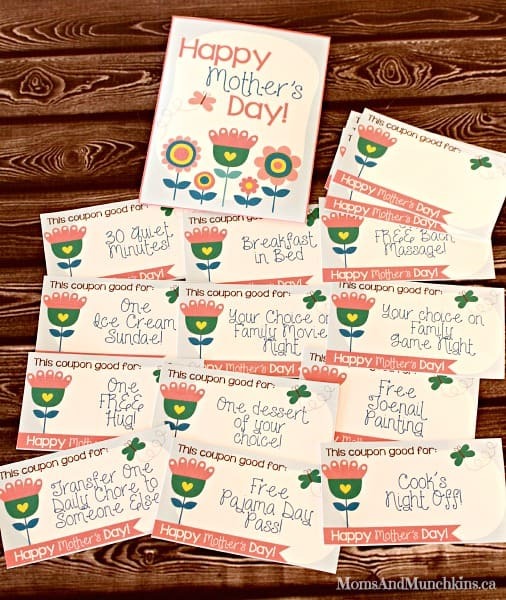 These free printable Mother’s Day coupons are just as fun to give as receive. It’s a gift that Mom can cash in throughout the year! We’re always adding new ideas for family fun. Never miss an update by following us on Facebook, Twitter, Pinterest, Google + and Bloglovin’.